Some voters have complained that their votes at the top of the ballot were changed, but the Texas secretary of state's office said the voting machines are not at fault. Hey, Texplainer: I’m hearing reports of voting machines changing the selections of some straight-ticket voters. What gives? Voters from around the state have reported a curious thing happening at the polls this week: They meant to vote straight-ticket but when they reviewed their final list of selected candidates, someone from an opposing party was picked instead. Some people wondered if there was malfeasance. Others blamed malfunctioning voting machines. And both Democrats and Republicans have tried to warn voters in their respective parties. 🚨 ALERT: We have received multiple reports from voters who voted straight-ticket, then saw on a later screen that their votes were changed to that of the opposite party. You must check your ballot before casting to ensure it’s correct, and you can ask a poll worker for help. But according to the Texas secretary of state’s office, the voting machines are not at fault. Rather, the problems reported are the result of “voters hitting a button or using the selection wheel before the screen is finished rendering,” which de-selects the pre-filled candidate selection. “The issue is occurring primarily with the U.S. Senate race selections, because it is at the top of the ballot,” said Sam Taylor, a spokesman for the secretary of state. On Saturday, that office said that it has only been notified of fewer than 20 related issues. “In each case, these voters were able to properly review and cast a ballot that accurately reflected the choices they made,” the office said in a statement. The problem is happening with Hart eSlate voting machines, which are used in 82 of Texas’ 254 counties. Around 7.2 million registered voters live in those counties, which account for 46 percent of registered voters in the entire state. And three of the five counties with the most registered voters, Harris, Tarrant and Travis, use them. In a statement Friday, Hart eSlate said it "simply records the voter’s inputs. It does not, and cannot, 'flip' or 'switch' votes." A spokesman also said that their voting devices comply with the state's Election Code and have been used "reliably across Texas" since 2002. "Most importantly, the eSlate displays all voter choices on a ballot summary page, once the voter has made all selections," the statement said. "This gives the voter the opportunity to verify that they have marked the intended choices before casting the ballot. If the voter has mismarked a choice or has changed their mind, they have the option of returning to any contest that needs to be changed." So, what should you do if you’re in one of those 82 counties? Easy. Double-check all your votes before submitting your ballot. According to the secretary of state’s office, Hart eSlate voting machines have an “enter” button and a selection wheel to help voters select their choice candidate. The office advises voters to use one button at a time and to not hit the “enter” button or use the selection wheel until the page is fully rendered. “If Texans are having issues, they should ask a poll worker for assistance immediately, and do not cast their ballot before carefully reviewing the summary screen at the end to ensure all their selections are listed correctly,” Taylor told The Texas Tribune in an emailed statement. 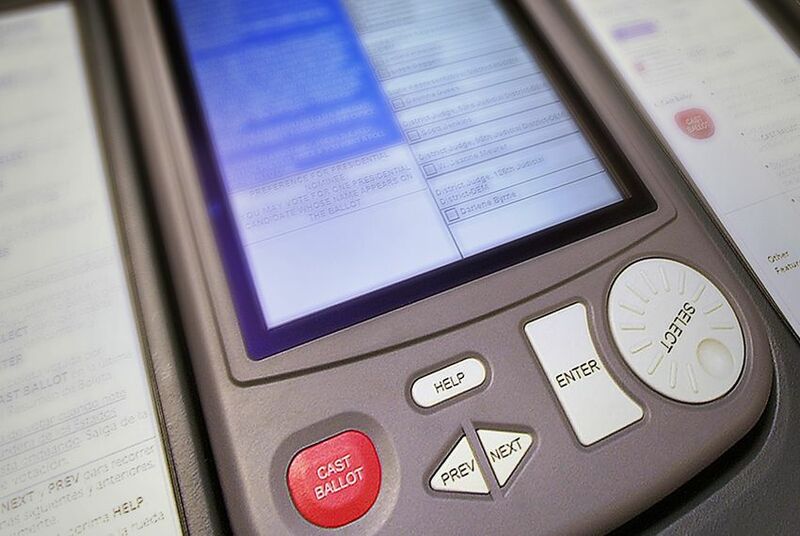 The secretary of state’s office has no legal authority to force any vendors to make upgrades if their voting systems are otherwise in compliance with federal and state law. Counties are also responsible for purchasing their own voting equipment. Hart eSlate’s systems were certified in 2009, according to The Associated Press. It’s worth noting, however, that straight-ticket voting won’t be around for much longer. Last year, Gov. Greg. Abbott signed a bill into law that will eliminate the “one punch” voting option from Texas ballots starting in 2020. Early voting ends Nov. 2. Election Day is on Nov. 6. The bottom line: Voting machines aren’t malfunctioning. The secretary of state’s office is advising Texans to check their ballots and to double-check all votes cast before submitting their final ballot.